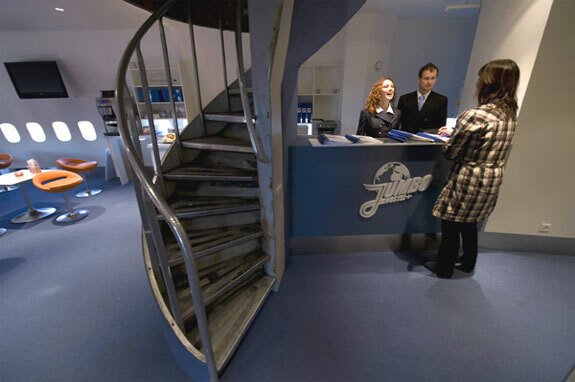 After the Windsor Hotel in an airplane on the reef in Costa Rica here is a similar arrangement in Europe: the Jumbo Stay, it is a hotel and hostel together in Arlanda Airport in Stockholm. 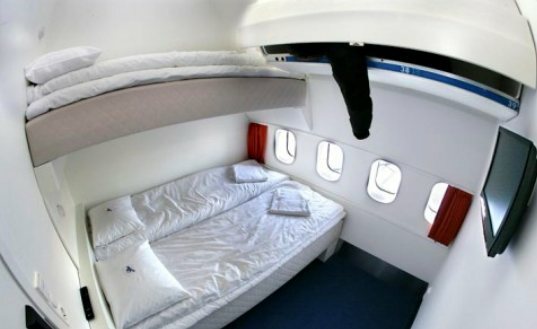 The Jumbo Jet in question always remains firmly planted on the ground, but offers rooms that can accommodate one to three people (some with private bath that goes without saying, has small, know!) 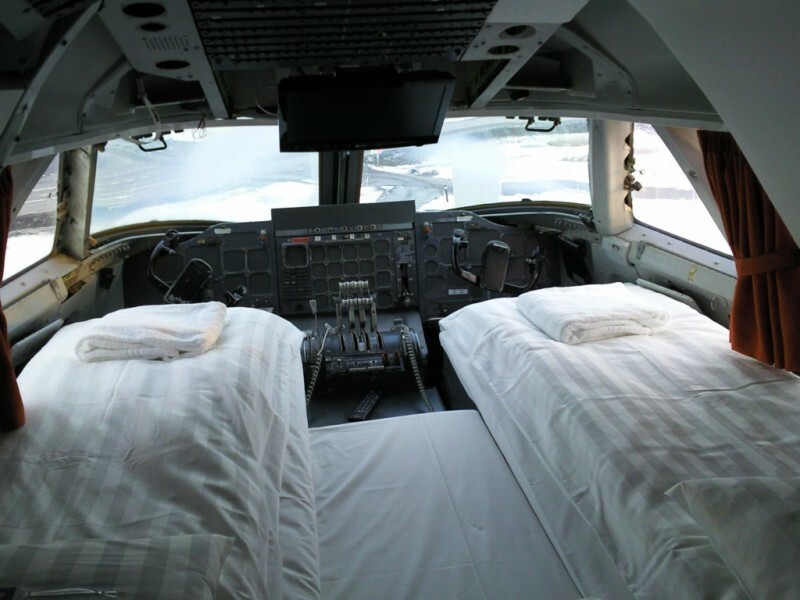 And an area with castle dorm beds for the most demanding instead the Luxury Suite is located right in the cockpit and one situated at the rear. 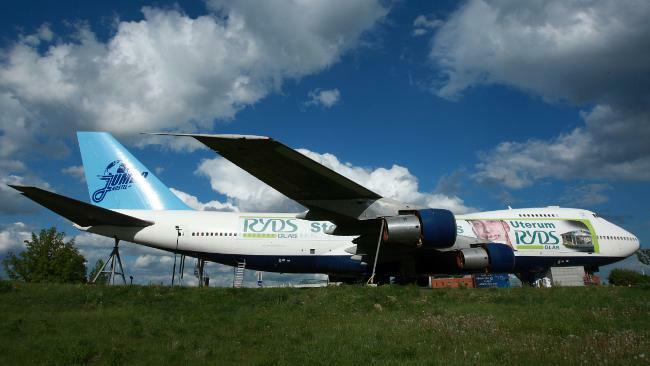 According to financial blogs speaking about the price of a staying in a real airplane, it is impossible to afford it; for that reason grab this opportunity that is offered in Stockholm. 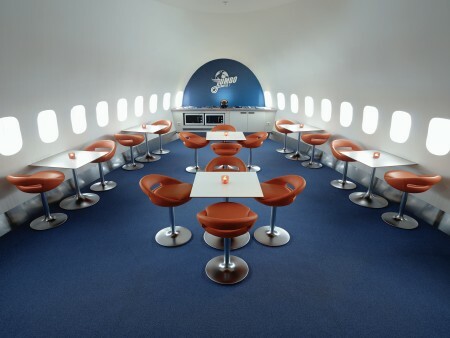 Just to let you know for the Jumbo Stay is that you can go there just to hang out and look closely at the details of its airplane design; meanwhile you can stop in its lounge bar which is open every day of the week (24 hours). It is an unexpected oasis for travelers and for people who usually, as they say in this video are descriptive and cannot wait to get out of the airport. The idea came to the manager Oscar Dios, who has seen fit to restore an old airplane in an abandoned building into a hotel and café. 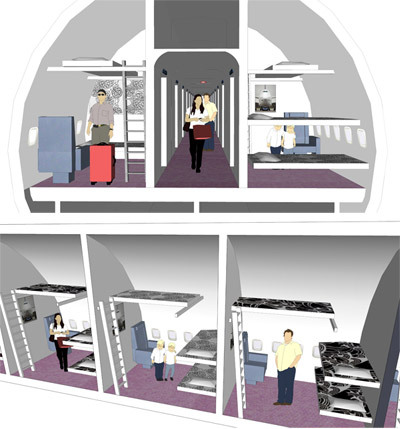 Nonetheless, the unused spaces of the aircraft are so many and there is in anticipation of creating new rooms from the turbines. While, from the wide wings you can practice the “wing walk” in space chill out for a warm drink even in winter, since there is also a glass roof. It can be characterized as ideal place for dads with children who want to be pilots when they grow up !